JLR, who employ 40,000 people in the UK, have been hit hard by Brexit costs, a decreasing demand for diesel and poor sales in China. Analysts have said up to 5,000 jobs must be cut in order for the carmaker to survive. Robin Zhu, an analyst at Bernstein in Hong Kong who covers JLR and its parent company, Tata Motors said: “It’s do or die at the moment. 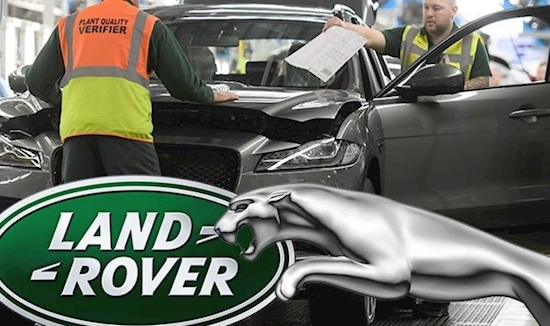 “JLR has been seriously mismanaged in recent years, with cost runaways, products disappointing in the market, and hedging issues costing it billions. In October, after the firm posted losses of £90million for the three months to September, it outlined plans to save £2.5billion. A total of £1billon would be saved through cost reductions within 18 months, JLR said, but did not specify how many jobs would be lost. Tata Motors has employed Boston Consulting Group to put together turnround plans, according to the Financial Times. JLR said: “Jaguar Land Rover notes media speculation about the potential impact of its ongoing charge and accelerate transformation programmes. “As announced when we published our second-quarter results, these programmes aim to deliver £2.5billion of cost, cash and profit improvements over the next two years. The firm announced earlier this year it will be moving production of its Land Rover Discovery model from its flagship plant in Solihull, West Midlands, to Slovakia. The company said in June the move to the eastern European country will take place early next year. JLR has already cut 1,000 roles at its Solihull plant, and slashed employees working hours at other sites. Two years ago the firm – owned by India's Tata Motors – insisted that its Slovakia plant would "complement" its UK operations. But the car making giant said all production of the Discovery would be done in the Eastern European country. Roger Godsiff, Labour MP for Birmingham Hall Green, told Express.co.uk in October: “It seems quite clear to me that the owners of Jaguar Land Rover are seeking to transfer a large part of their operations, possibly as a precursor to transferring all their operations, to a low-wage part of the EU.